The Most FUN Birthday and Christmas Gifts for 5 Year Old Boys! FUN Gift Ideas for 5 Year Old Boys! Are you looking for the best birthday and Christmas gift ideas for a 5 year old boy in the family? 5 year old boys are very active kids! They love to be ‘on the go’, always looking for the next ‘big adventure’! They are no longer toddlers, of course, and they love to play with fun and cool toys! I gathered here a few of the coolest gifts for 5 year old boys being sold! Best Birthday and Christmas Gifts for 5 Year Old Boys! Are you looking for some fun gifts for 5 year old boys? I love helping parents, grandparents, aunties, uncles or family friends find the best gifts for the special children in their families! 5 year old boys are extremely active and curious about everything and anything! They need toys that will stimulate their minds and also help them spend all that energy! On this page you will find the best gift ideas for 5 year old boys on the market! I am always researching about the best toys for boys and girls on a daily basis, and I usually look for the most fun, unique, high-quality and highly reviewed by parents toys! 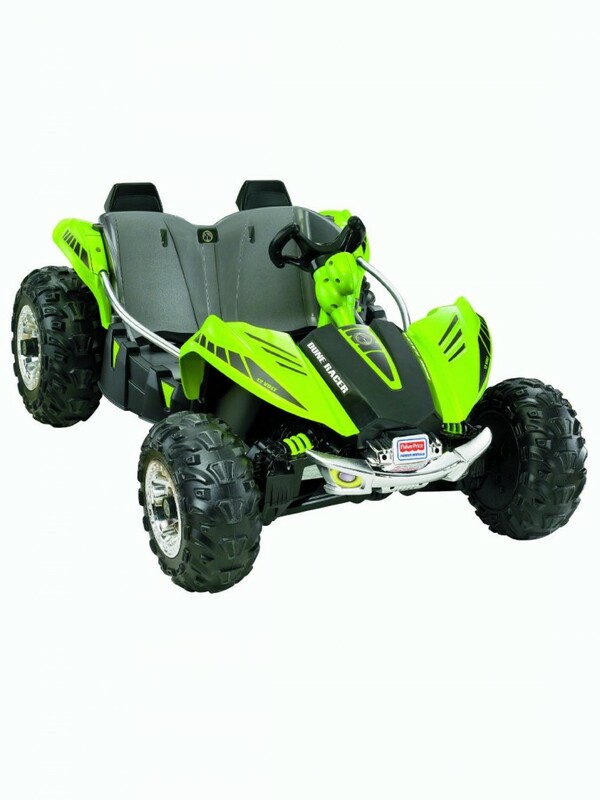 *How cool is this mean green Power Wheels dune racer for your little boy? I bet he is gonna love it!! Let’s face it: Boys of ALL ages are CRAZY about motorcycles! How about giving your 5 year old boy his very first motorcycle? This awesome child bike was specially designed for young boy riders from 5 to 10 years old! It was made in Europe and it has a 750 watt motor that can reach speeds of 18 mph! 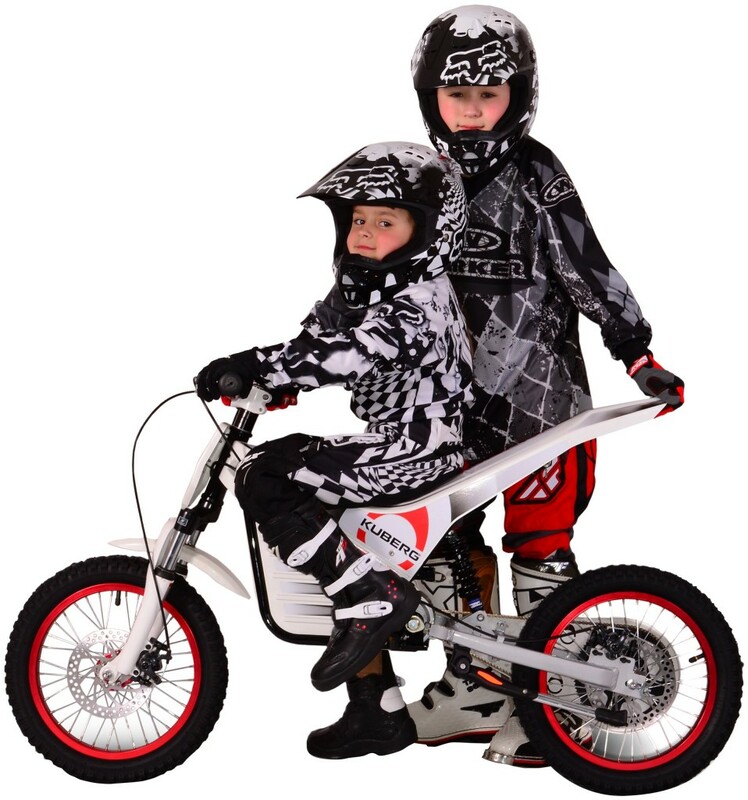 It will definitely spark your little boy’s love for riding! Cool Gift Idea for a 5 Year Old Boy! Boys also LOVE riding quads! 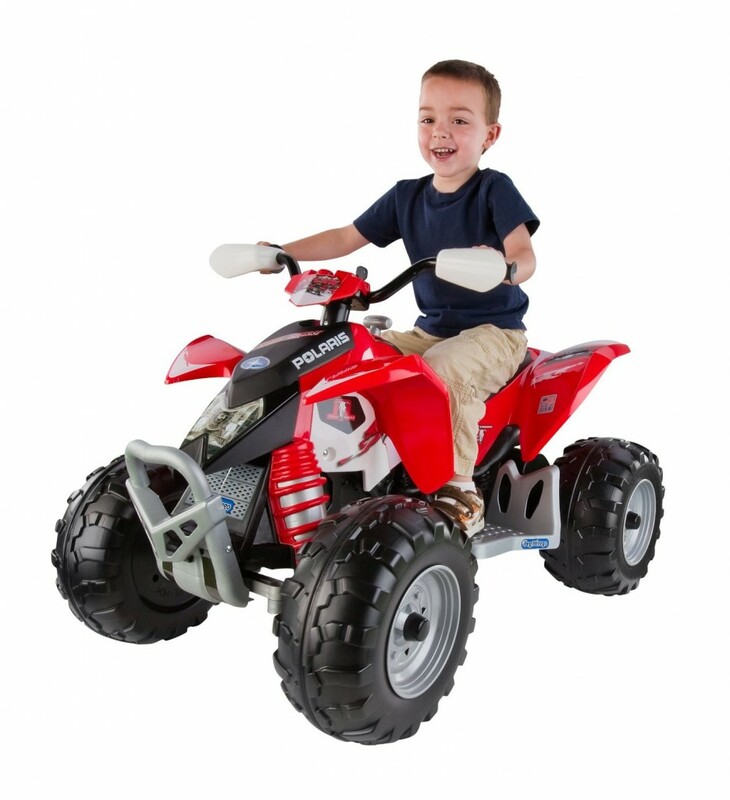 Check out this gorgeous red electric quad for boys ages 3 to 7 years old! It goes up to 5mph only, so it is totally safe! It can be used on grass and other tough pavements. 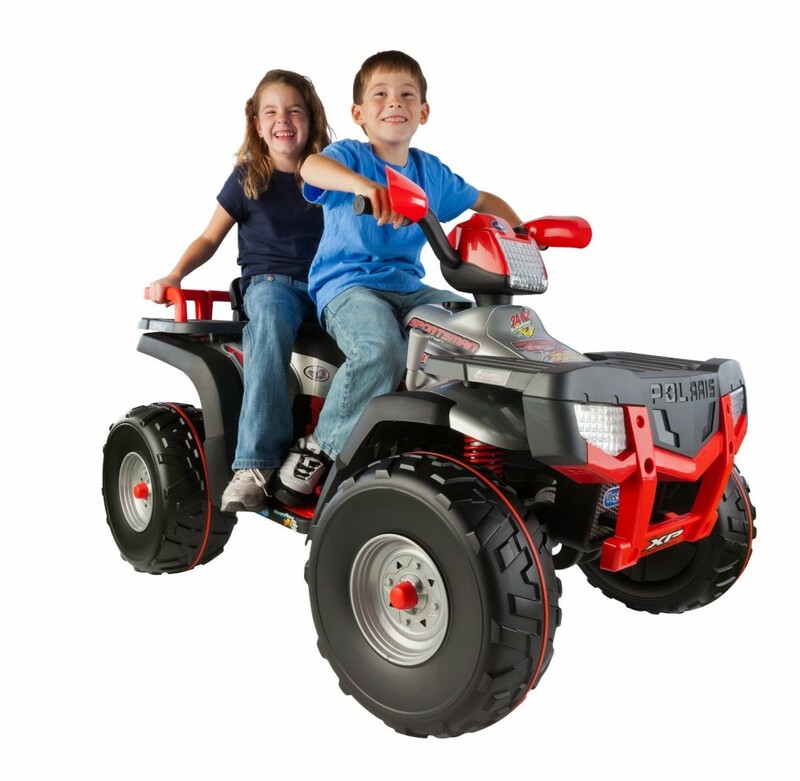 This great child ATV was definitely approved by happy parents and grandparents! Best Christmas Gift Idea for 5 Year Old Boys! Are you looking for the top Christmas gifts for 5 year old boys? This Perego Polaris kids ATV is a huge hit among little boys! It goes up to 7 mph and it can be used on grass, gravel and even mud! A fun electric car or quad is always a great gift idea for 5 year old boys and up! How about a Ferrari Pedal Car for Boys? How gorgeous is this Ferrari pedal car for boys? 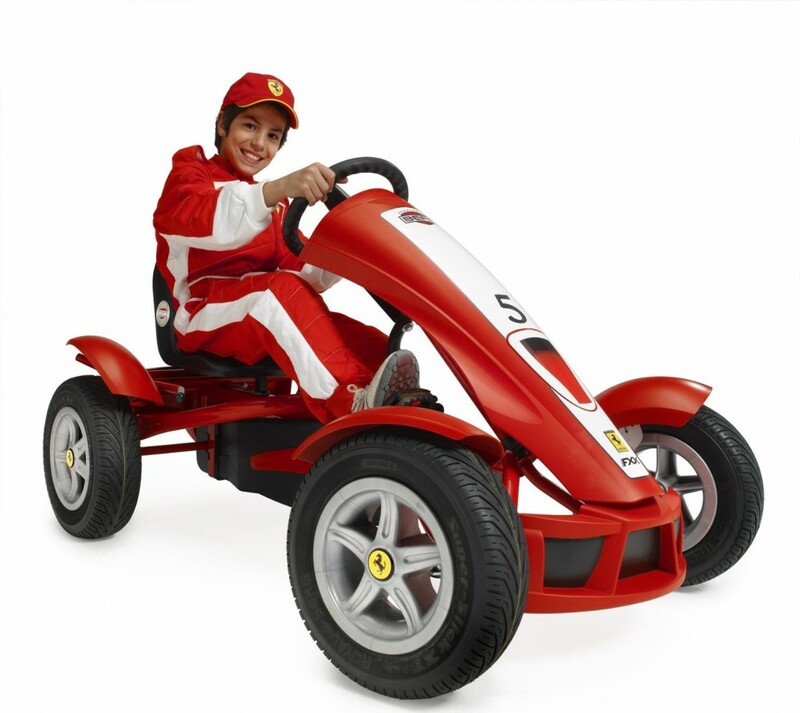 This Ferrari pedal go-kart is the ultimate birthday or Christmas gift idea for 5 year boys!! It is gorgeous, fun, unique and will make your little boy feel like a real formula 1 car racer! It is one of the best riding gift ideas for a 5 year old boy I can think of! Just imagine your little boy’s face when he sees this amazing RED gift under the Christmas tree! Gorgeous Green Riding Tractor for Boys! Every little boy wants do do exactly what their fathers and grandfathers do! Riding a very cool tractor is one of those things! Now your little boy can have a gorgeous electric green tractor to ride outside! And he can take his baby sister too! 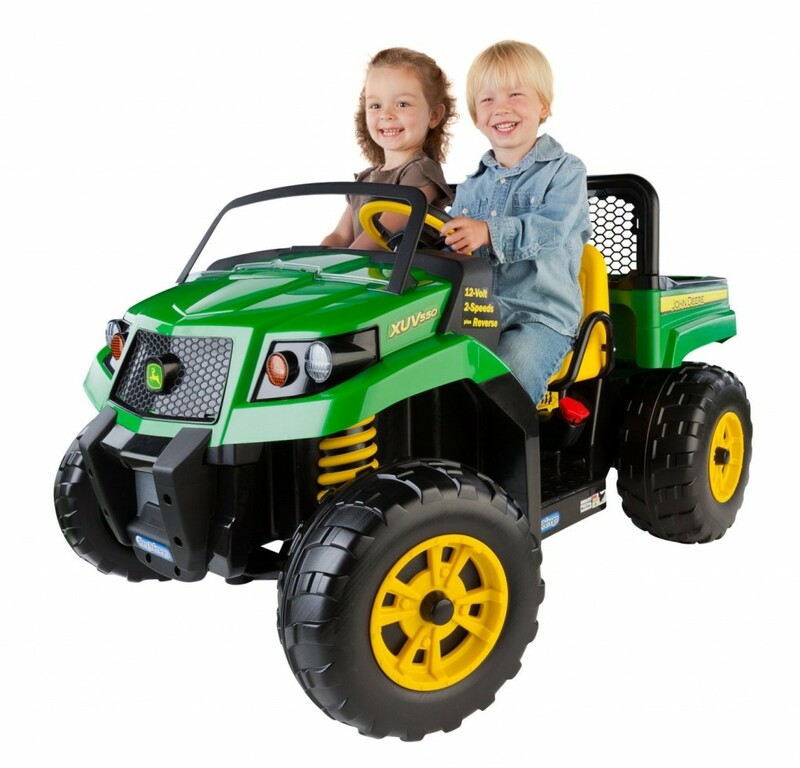 This beautiful John Deere Gator XUV green tractor will fit kids from 3 to about 7 years old! Cool Bicycle for 5 Year Old Boys! How cool is this Spiderman bicycle for boys? 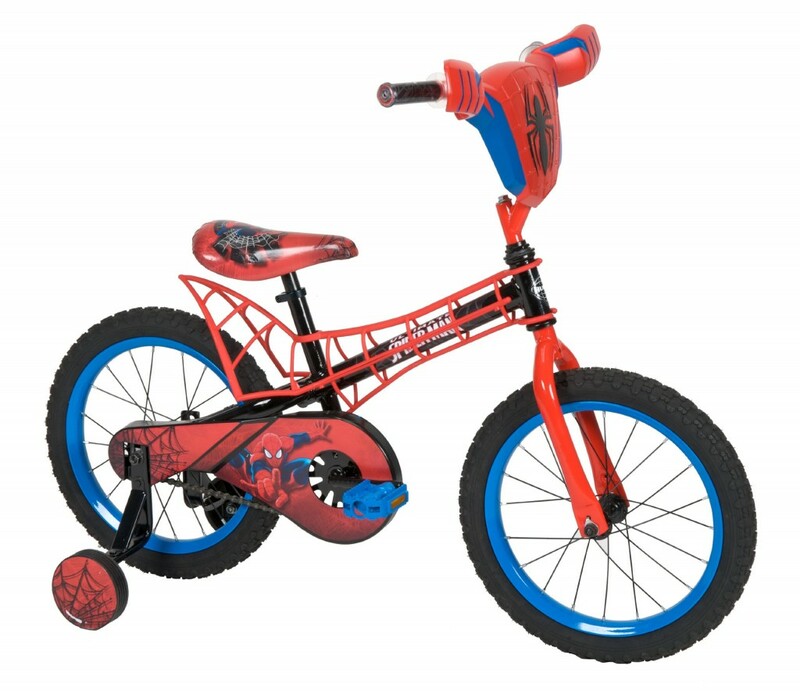 This awesome Spider Man bike will make a great gift idea for a 5 year old boy for sure!! It will make a perfect first bicycle for boys! Great way to make boys exercise! It is the perfect first bike for any boy! He is gonna love riding his super fast Spiderman bicycle and will learn ultra-fast too! How about a FUN Scooter? Fun Outdoor Gifts for 5 Year Old Boys! 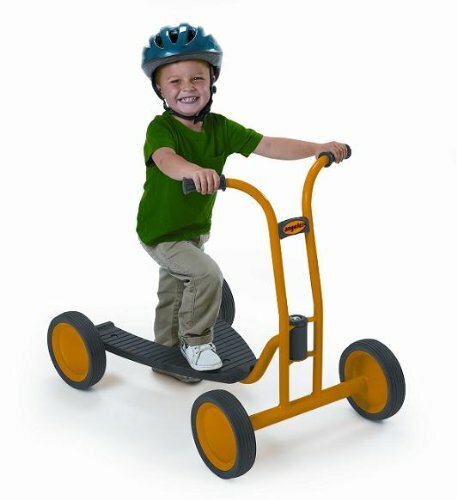 If you are looking for a fun outdoor gift idea for your little boy, then I think you are really going to like this fun V scooter! Scooters make awesome gifts for boys, of course! They love to be outdoors with their friends! A cool scooter is also a great way for them to improve their balance, coordination skills and exercise their bodies too! Just remember to also get a fun helmet and maybe some knee pads or elbow pads! This cool scooter is very comfortable and easy to ride! It has a great grip and it’s also very sturdy! Just grab a cool helmet too and watch your boy have a blast! Boys LOVE to jump, of course! They need to spend all that energy somehow! This cool pogo stick will be pefrect for them! Let them jump all day long until get tired! Great way for them to develop their balance and coordination skills! He is having a ‘jumping’ blast! Boys also LOVE remote control toys! 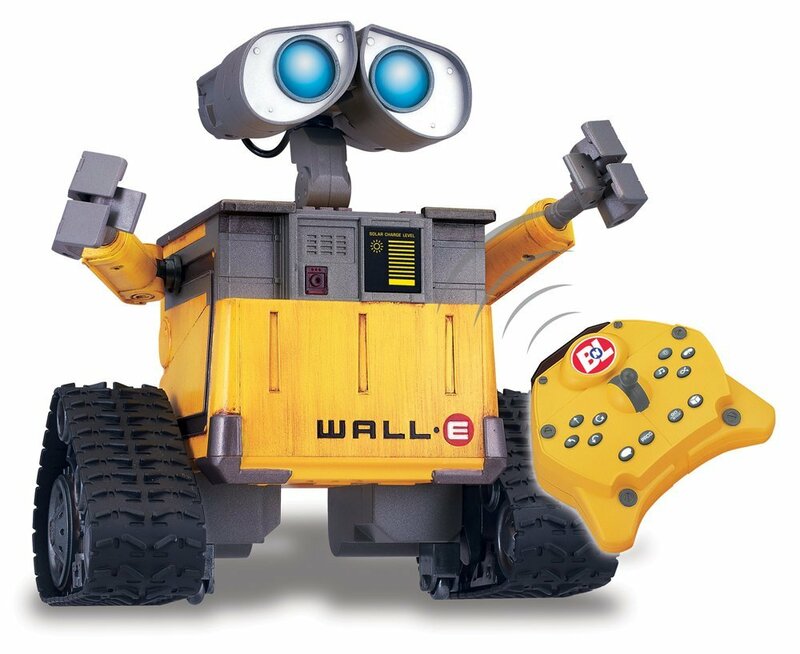 This cute Wall-E U robot toy from the Disney movie will make an awesome birthday gift idea for 5 year old boys! He talks, walks, lights-up and plays music! He will be your little boy’s best friend! Another fun and amazing robot companion for your little boy! He is a happy robot that will ‘talk’ to your boy and be his best friend! He will walk around the house, explore his surroundings and even play games! Awesome birthday gift idea for boys! How about an Interactive Electronic Dinosaur? 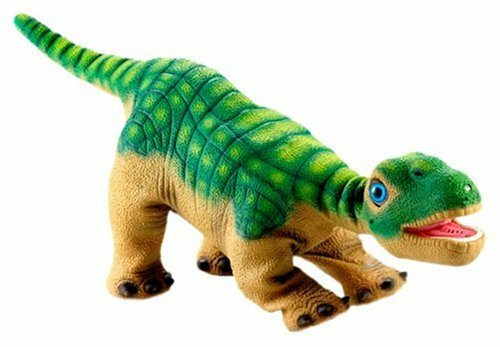 PLEO: The Best Dinosaur Toy for Boys! We all know boys LOVE dinosaurs and robots too! Add them together and you have a fun dinosaur robot!! How about giving him his very own interactive dinosaur toy? The PLEO electronic dinosaur is basically real! He has multiple sensors all over his body and he has the ability to also develop his very own ‘personality’! This fun robot dino will move around and interact with his environment! He also has a fun personality and will be your little boy’s best friend! One of the most fun and unique gifts for 5 year old boys from here! 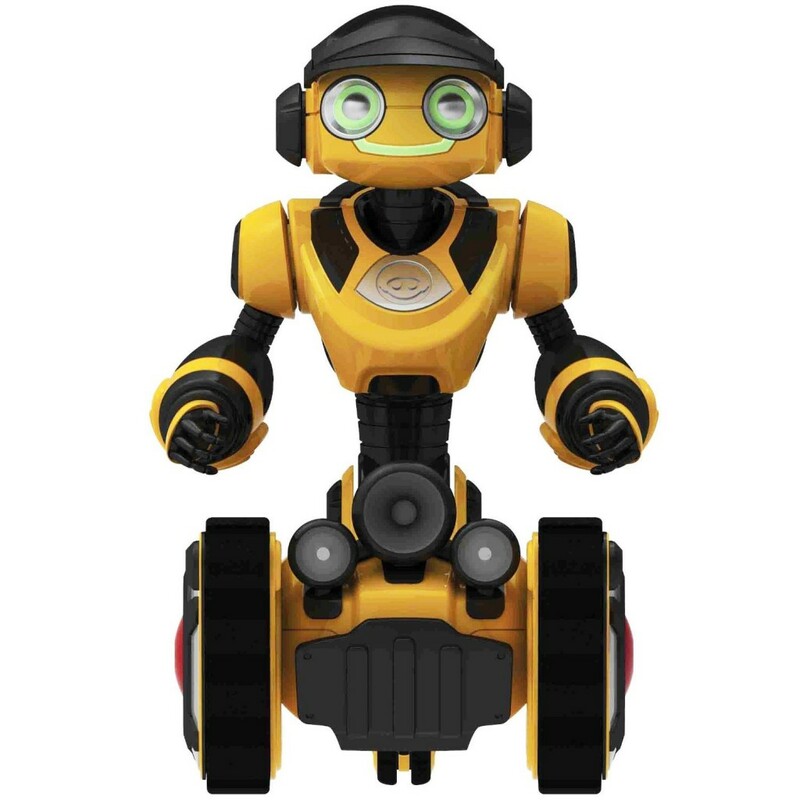 Fun WoWWee Robot for Boys! 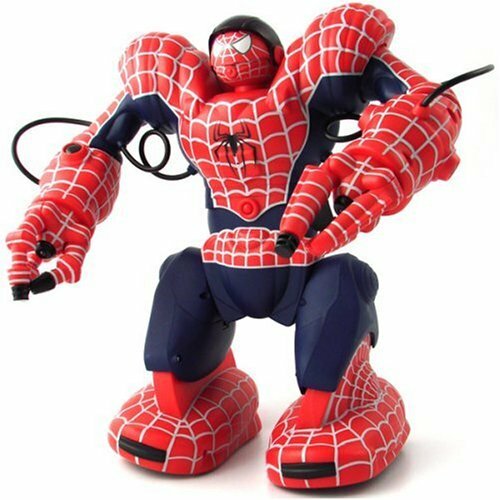 And not it’s time for this gorgeous and awesome Spiderman robot toy for boys! He can dance, he can groove,he can throw objects and do karate chops! 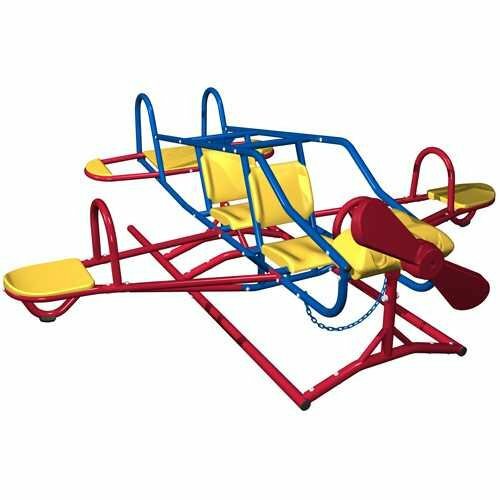 How about a Fun and Colorful Airplane Teeter Totter? Best Outdoor Gift Idea for 5 Year Old Boys! If you or grandma have the space in the backyard, then I would definitely recommend this fun airplane teeter-totter as a gift idea for your 5 year old boy! It is the perfect way to have your kids spend time outdoors breathing fresh air! Kids love teeter-totters and swing sets! It fits 7 passengers (including the pilot)! Will also fit your kids until they are about 12 years old! Best Christmas Gift Ideas for 5 Year Old Boys! Boys love playing with train sets! 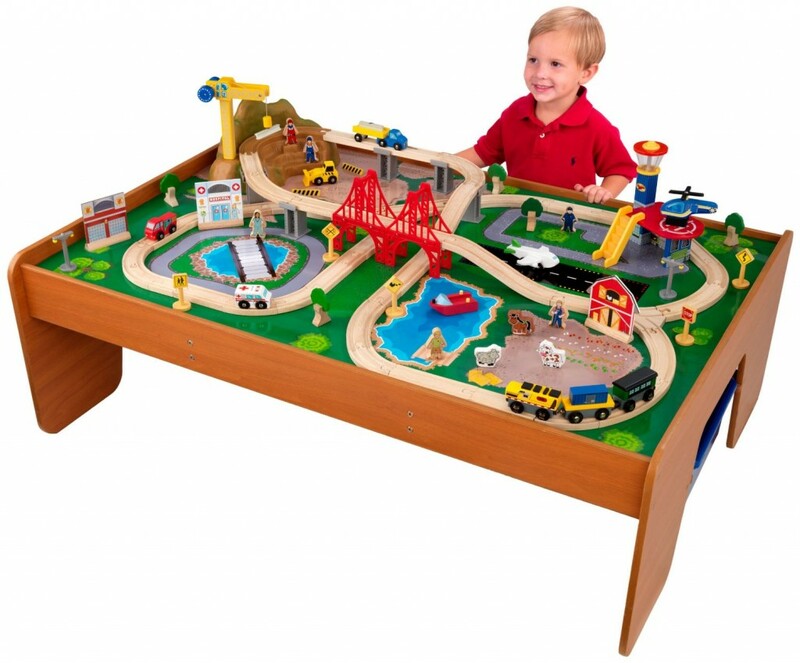 How about a fun train set activity table for his 5h birthday or Christmas? I bet he’s gonna love it!! This awesome activity table is huge!! It also comes with 100 pieces! *I hope you enjoyed these ideas for gifts for 5 year old boys from here and were able to pick an awesome toy for your little boy! Best 20 inch Bikes for Boys! Best Ride on Toys Ever! Coolest Dinosaur Toys for Boys!